After five rounds of negotiation in less than 18 months, the three key EU institutions – the European Commission, the European Council, and the European Parliament – committed on 20 November to adopt a new investment screening regulation. This was unthinkable as little as three years ago, following the failure of a similar initiative in 2013. Indeed, investment only became an EU competence with the entry into force of the Lisbon Treaty in 2009 – and only in very abstract terms at that. It is almost unprecedented for the European Union to make such a substantive move at this speed. The agreement shows Europe’s capacity for compromise between different sets of values – in balancing free markets with regulation – and between member states that have widely varying stakes in investment issues. Italy’s sudden reversal of position two weeks ago only accelerated the adoption of the deal. The previous Italian government had been an early supporter of the investment screening regulation. But, sadly, Chinese lobbying left an all too visible mark on its successor (one can imagine that such lobbying will prove effective in other member states). In an era in which insurgent political forces at home and growing instability abroad constantly challenge European unity, the Commission has demonstrated a formidable capacity to reconcile competing demands from member states with the European interest. Most members of the European Parliament would have preferred to have included more sectors in the new regulation. A significant number of member states were adamantly opposed to surrendering their national decision-making power over investment, while others would have liked the rules to apply only to national security in the strictest sense. Nonetheless, the regulation will cover critical infrastructure and advanced technology. Public order and security will be the criteria for EU intervention in investment decisions, as part of a formulation that is compatible with World Trade Organisation rules and that does not single out any of Europe’s economic partners. The regulation does not cover national defence – which firmly remains a national prerogative. Most importantly, member states have ultimate responsibility for each investment decision, but they are required to inform the Commission of all plans for foreign investment in the sectors above. There is one crucial exception to this rule: investments that involve EU funding will be subject to Commission rulings. And it is clear that, under the regulation, the 14 member states that did not have an investment screening process in place will have to adopt one (two of these have done so since July 2017, when discussions about the regulation began). It is now up to the Commission to create the tools it needs to implement the regulation. This includes mechanisms for exchanging information with member states and like-minded third countries, as well as those for investigating financial networks that can hide the identity of investors in sensitive industries. Some will say that the regulation does too little; others that it does too much. For instance, many argue that investment screening will hamper the free flow of capital within the single market and could prompt retaliatory measures from the EU’s economic partners. Yet both the United States and Japan have legally binding processes for investment screening that they have reinforced in the last two years. Because of the four freedoms of the single market, a company that a non-EU investor acquires in one member state becomes an EU company in all others. The EU will have to demonstrate that the regulation has teeth – merely naming and shaming member states that ignore it will not be sufficient. Along with EU discussions on a new trade defence measure, potentially on control over exports of advanced technology, on the implications of giant non-EU companies’ and states’ use of big data, and on the establishment of high-bandwidth 5G networks, the investment screening regulation is a needed adjustment to the unprecedented speed of technological advances and globalisation. But it is not a retreat from the world, only a defence of the European interest. 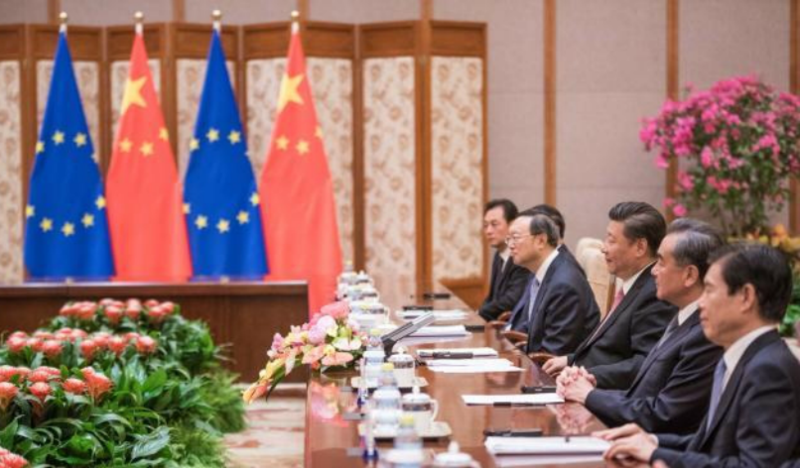 One should remember that others have far more exacting defences: few major economic powers have reciprocated for the openness of the EU – as seen in China’s approach to mergers and acquisitions, as well as to scientific research. In adopting the new regulation, the EU appears to have acknowledged that competition to develop and market advanced technology is as serious as a traditional arms race, while control of financial networks is becoming a primary tool of geopolitical influence. This has occurred as the rebirth of the industrial state leads European countries to either rework their industrial policies or ensure that actors who do not follow market rules suffer the consequences when they gain a foothold in the EU. Finally, Europe has answered those who maintain that their national investment screening can be more effective than that at the EU level, because the former would be less prone to biased decisions from competing member states. The new regulation helps protect medium-sized and small European countries from unchecked global competition for investment and capital. Without the EU’s organisational, bargaining, and deterrence power, national economies that depend on flows of foreign capital would suffer from the prisoner’s dilemma – mutual distrust. The transparency among EU member states that the investment screening regulation promotes is a key step towards overcoming this challenge. In the EU as elsewhere, financial transparency helps build trust.